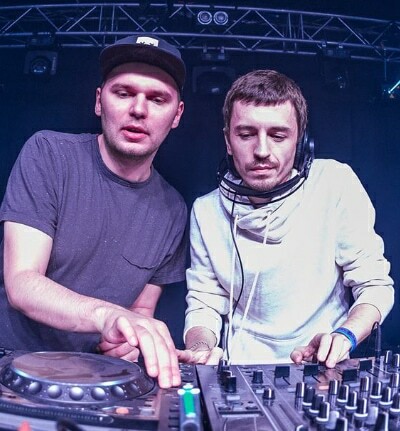 Gydra is D&B duo formed by legend of Russian D&B scene, leader of Neuropunk podcast & Tamrecords Eugene Besman aka DJ Bes & outstanding Moscowbased producer Nikolay Shilov aka Menfort. With countless Beatport Drum & Bass TOP 10’s, releases on labels like Eatbrain, Blackout, Bad Taste, Renegade Hardware, Cause 4 Concern and others, Gydra is one of the most exciting and fastest growing Drum&Bass acts coming from Russia. Project also was nominated as best newcomer on Drum&Bass Awards 2017. Guys are gaining regular DJ support from the likes of Noisia, Audio, Ed Rush & Optical, Prolix, BTK, Optiv, Bad Company, Black Sun Empire, Jade, Billain, DC Breaks (to name few!) as well as making appearances on huge music platforms & radio shows. After a huge two years of productions in Drum & Bass, Gydra looks to continue to build off that success throughout 2018.